SEG Racing Academy is looking for the best Pro Cycling Manager players in the world! Not just because we love to play (and win!) 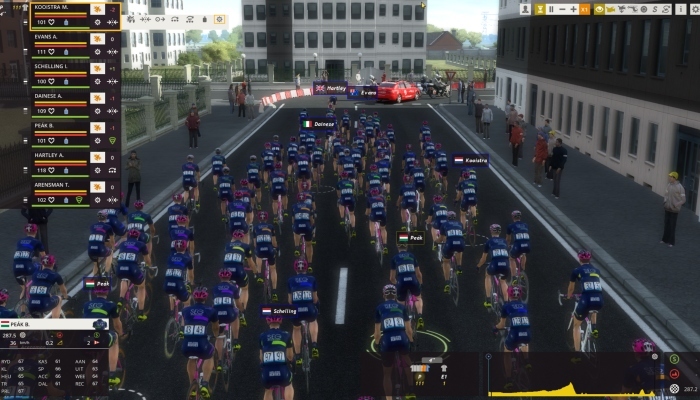 ourselves, but we would like to see if the best PCM players can learn us something about cycling ‘in real life’. Therefore, the winner of the SEG PCM Cup will be invited to join our riders for a race day, all expenses paid! As a team, we always embrace technology and are continuously innovating. In our quest to be the best, we want to work with the best. That’s why we are looking for PCM masterminds. What is the SEG PCM Cup? The SEG PCM Cup is a single day tournament in the game Pro Cycling Manager 2018 (by Cyanide Studios), organized by the PCMWorld Community and SEG Racing Academy. The SEG PCM Cup will be held on Saturday, May 4th, 2019. The tournament will start at 13:00 CET, with a break planned at 18:00 CET and the finals to start at 20:30 CET. Please find the rules here. The 1st prize winner will be invited to a (European) race day and join SEG Racing Academy as it’s temporary ‘Director of Strategy’. You’ll get to know the team and staff, ride in the team car during the race and (hopefully) join in the celebrations after! Of course, you’ll be showered in SEG Racing Academy gear and SEG will pay for your travel and stay. The 2nd prize winner will receive a signed SEG Racing Academy polo shirt + a 3-pack of official SEG Racing Academy socks + a set of 2 bidons and our official cap. The 3rd prize winner will receive a 3-pack of official SEG Racing Academy socks, a set of 2 bidons and our official cap.